We Buy Any House Dallas Fort Worth!!! 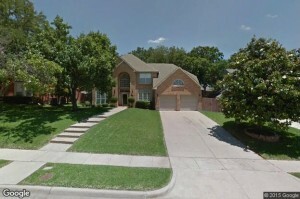 We buy houses in Dallas Fort Worth,TX and every surrounding city and county in North Texas. Visit Here To Sell Your Dallas Fort Worth House Fast Right Now!! The Metroplex Invest Team is known for a common saying which we have that is “We Buy Any House Dallas Fort Worth.” We have gained a well earned highly respected reputation in the local DFW market as well as all across North Texas as a top leading Dallas Fort Worth house buyer. We offer families a fair price and the choice of the day they want to close on. We will even help you move. We buy houses in Dallas Fort Worth and surrounding cities by either paying ALL CASH or working an agreement along TERMS where we put up a large down payment and pay off the remaining balance monthly. If you are needing to sell your Dallas Fort Worth house fast we have a trained and experienced team of professionals on call 7 days a week waiting and ready for your call. Call us right away to get your TOP DOLLAR cash offer within just a few hours. CALL 469-319-1330!!! We have a clear and simple we buy any house Dallas Fort Worth process that we follow and it has been reported to be one of the leading and most efficient house buying processes in North Texas today. Here is a quick break down of just how very quick and easy it really is to sell your house fast in Dallas Fort Worth. We Buy Any House Dallas Fort Worth… We Will Trade You Cash For Keys!!!! Step 7: Close and Trade Cash For Keys!!! We Are Not Realtors…We Are Dallas Fort Worth House Buyers! We DO NOT list your house!!! Our most common reason families from all around North Texas tell us they choose to work with us and want to sell us their house is because they know we buy any house Dallas Fort Worth. This is a benefit we offer that is not common among most companies being many just simply DO NOT buy just any house being they usually have highly selective targeted processes for which houses they will take the time to look at. The Metroplex Invest process is simple…. if the house is still standing we will make an offer. We are not overly concerned with location, property condition, price, or if it has outstanding liens or back taxes. 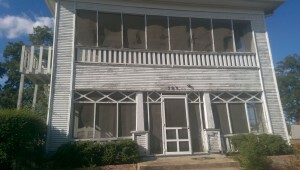 What we are looking for are houses and we will buy your Dallas Fort Worth house within days. We buy houses Dallas Fort Worth and in all surrounding cities every day and can help buy yours as well. We buy houses in the following DFW cities and all over North Texas….Arlington, Garland, Mesquite, Grand Prairie, Plano, Irving, North Richand Hills, Haltom City, Denton, Carrollton, Richardson, Frisco, Desoto, Denison, Sherman, Whitesboro, Mansfield, McKinney, Rowlett, Gainesville, Duncanville, Terrell, Anna, Coppell, Colleyville, Farmers Branch, Wylie, Balch Springs, Flower Mound, Prosper, Murphy, Melissa, Grapevine, Watauga, Keller…. 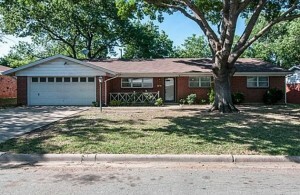 “Need To Sell My House Fast In Dallas Fort Worth Now!!! Sell Your House Fast Dallas Fort Worth…We Buy Any House Dallas Fort Worth!!! That’s Great!!! Your In The Right Spot… We Are Dallas Fort Worth House Buyers And We Buy Houses In Dallas Fort Worth Check Out How Our Process Works. Today We Would Like To Make You An All Cash Offer For Your House. Don’t wait to relieve the headache of your house that will not sell just pick up the phone and call us today…we buy houses in Dallas Fort Worth… 469-319-1330. It really doesn’t matter if you are battling foreclosure, in bankruptcy, fighting a divorce, problem lenders, or have “those tenants from hell” because we are a team of seasoned professionals with the systems in place that are capable of handling any problem or situation you may have found yourself in. We Buy Any House Dallas Fort Worth so call us today. WE ARE HELPING DALLAS FORT WORTH HOME OWNERS EACH AND EVERYDAY SOLVE THEIR PROPERTY PROBLEMS FAST!!! The Metroplex Invest team is fully qualified and has trained professionals on standby 7 days a week waiting and prepared to help!!! Our experienced leaders in the Dallas Fort Worth house buyer market can help buy your property helping you sell your Dallas Fort Worth house fast RIGHT NOW!!! Simply put, if you have a house that your struggling to sell.. we would be grateful and would love to buy it from you and will make you multiple fair and no-obligation offers today with expectations to close on the house quickly as soon as next week!!! Known Best Because We Buy Any House Dallas Fort Worth!!! We are helping families in our community every day when they need help selling a property they do not want or need and it has not been selling house… We are a leading Dallas Fort Worth House Buyer and we pay cash for houses in Dallas Fort Worth and every surrounding city. Our company is on a mission and has a focused goal to help make the lives of families in our community less stressful and more successful when selling their house by buying your Dallas Fort Worth house at a fair price when nobody else will take a look!!! 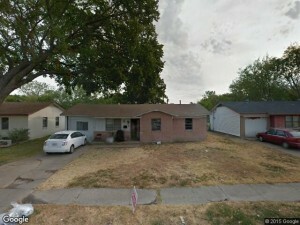 We buy houses in Dallas Fort Worth, Texas 75201. Are you needing to sell your Dallas Fort Worth house fast? If so you have the Metroplex Invest team sitting idle waiting and prepared and ready to fight for you… we are sincerely and genuinely always thankful and grateful to work with and help families in our community when sell their house that they could not have otherwise. Click Here For Information On Current Home Values In Dallas…. Click Here For A Quick Overview Of Current Real Estate Activity In Dallas…. Click Here For Information On Current Homes Values in Fort Worth…. Click Here For A Quick Overview of Current Real Estate Activity In Fort Worth….